The tensions between Ukraine and Russia reached a new climax on Sunday 25th November when Russian authorities seized three Ukrainian vessels in the Sea of Azov. During the naval skirmish, several Ukrainian sailors were wounded, and the Kremlin is still refusing to release twenty-four members of the crews. This event further deteriorates the relations between Kyiv and Moscow, and it did not remain stranger to EU’s attention. Indeed, the European Union has always shown a deep concern regarding the Black Sea region since it is considered an area where tensions and potential escalations can undermine the security of the whole Europe. The first EU statement related to this event was made by the Spokesperson of the EEAS, Maja Kocijancic. In her declaration of November 25th, Mrs. Kocijancic condemned the Russian behaviour, also stating that the EU was expecting Russia to stop the inspections and to de-escalate the situation immediately. 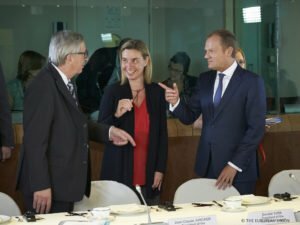 Moreover, the spokesperson reaffirmed the position taken by HR/VP Federica Mogherini who, speaking at the European Parliament on 23rd October, stressed the threats deriving from a militarisation of the Black Sea for European security, defining the Russian disregard of international law as the basis of the tensions. From its part, the European Parliament outlined the steps that the EU should take for monitoring and countering escalations already before the seizing of Ukrainian vessels. As contained in a Resolution released on October 30th, the EP recognises the threats related to the troublesome situation in the Black Sea and encourages the appointment of an EU Special Envoy for Crimea and Donbass. Furthermore, the EP urged the Member States and the Council to reinforce the sanctions against Russia in the case of further violations of the Ukrainian sovereignty, including in the Sea of Azov. 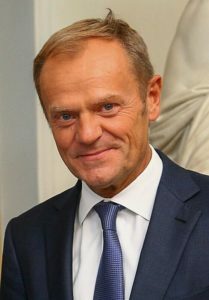 A recent declaration of the President of the Council, Donald Tusk, seems to endorse the Parliament’s will, at least for what concerns the latter part. Speaking from Buenos Aires where he was attending the G20, Mr. Tusk defined the Russian behaviour in the events of November 25th as “totally unacceptable”, adding that “the EU will roll over the sanctions against Russia in December”. Therefore, despite the sharp criticism shown by many experts and national leaders over time, the road seems to be paved for new sanctions against Russia.